Serenbe Farms has always been committed to growing new farmers whether through their annual apprenticeship program, public farm tours or teaching the next generation of children from The Children’s School at Serenbe about seasonality and the food they eat. 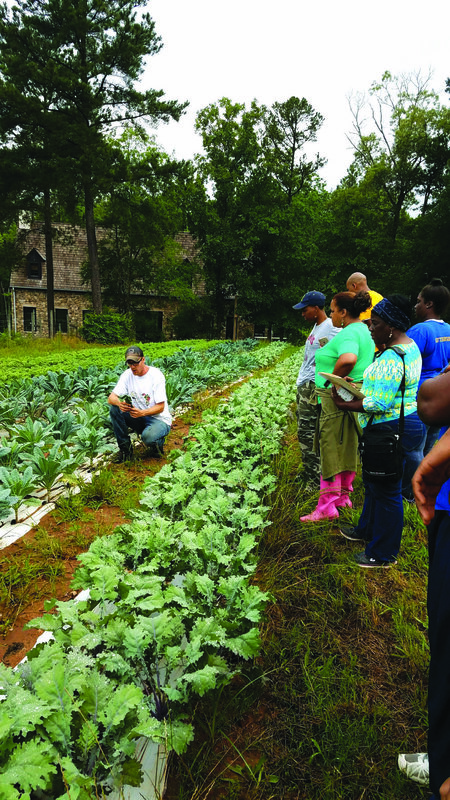 The Farm has even taken their education programs one step further and have secured vendor approval from Atlanta Public Schools (APS) to teach educators, from teachers to administrators, how to build and maintain an educational school garden. The entire Serenbe Farms crew will spend two days teaching educators what they’ve done with produce on the farm at Serenbe, then will spend a third day on-site at schools to help make specific recommendations. According to their website, Atlanta Public Schools’ goal is to help young people establish healthy lifestyle behaviors and choices to increase health and wellbeing and reduce disease. They define school health as an integration of wellness, safety, growth, learning and development in the lives of students within the context of their school and in conjunction with their families. Learn more about the Educational School Garden Series by visiting serenbefarms.com/education or emailing info@serenbefarms.com. Propagation– greenhouse seed starting, seedling management and simple infrastructure needs. Direct Seeding– General spacing, depth and soil temperature. Plant Pruning– An overview of methods used on a small production farm or garden to increase yield and decrease loss. Plant Support – How to trellis plants to prevent entanglements. Irrigation- including the basics of setting up drip and overhead systems. Site Assessment and Selection – The best place for your garden based on your space. Pest Control and Habitat Management – Garden pest identification plus the use of beneficial insects. Harvest, Pack & Store– Everything you need to know from soil to storage including washing and transporting. Composting – What can be composted and why it’s important. Pasture Poultry– An introduction into raising chickens. Shiitake Mushroom Cultivation– Log inoculation, selection, management and harvest. GAP Practices Overviewincludes good agricultural practices to keep children safe from contamination.